The year 1909 found a future Keeler Plaque recipient, Joe E. Busby, in Lockney, Texas near Plainview. He had first been exposed to chiropractic in 1907 through a Dr. Teems of Sherman, Texas. Dr. Busby enrolled in the Boone School of Massage and Physiotherapy, a chartered Texas Institution whose graduates were legalized practitioners in the state. The President of the school was Dr. S. L. Boone, a graduate of Physical Medicine with study in Stockholm, Sweden. Dr. A. W. Canfil, a graduate of National College of Chiropractic in Chicago, was secretary and Dr. R. B. Longmier, M.D. and Dr. J. D. Burleson, D.C. were members of the faculty. Dr. J. D. Burleson D.C., was personally acquainted with and greatly admired Dr. D. D. Palmer and graduated from the Wichita College of Chiropractic, Wichita, Kansas. It was in 1909 that the Carnegie Foundation commissioned Abraham Flexner to visit medical schools and write a report on the status of medical education in the United States and Canada. It stressed the need to link medical schools with universities and heavily emphasized the need for scientific research and the application of the “fruits” of this research to medical practice, and proclaimed the biological sciences as the knowledge base for the practice of medicine. With the Flexner Report in hand, a healthy nod from the American Medical Association (AMA) and its close partner, the Association of American Medical Colleges (AAMC), along with the financial backing of Carnegie and Rockefeller, medical education reform was in full swing by 1910. One medical doctor stated that the combination of the monies from the Rockefeller Foundation and the influence of the AMA and AAMC virtually gave birth to the strongest professional monopoly in the United States – Organized Medicine. University of Texas Department of Medicine at Galveston. Only the graduates of the last, the report said, deserved the right to practice. The other schools might become acceptable only through large infusions of money. 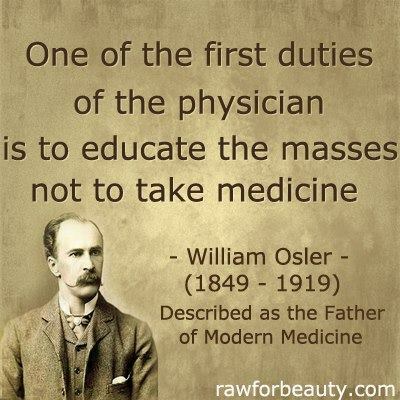 Organized Medicine was able to “clean up” and improve medical schools, and they were able to shut down their competition by closing the schools of the other healing arts all done in the name of “public safety.” They now held the cards for governing all health professions. So it should come as no surprise that they strenuously fought every effort by chiropractors to obtain licensure. Consequently, chiropractic in most states fell under the jurisdiction of the medical laws, and practicing medicine without a license was a crime punishable by fine or imprisonment. Baylor Medical School and UTMB Galveston were the only schools to survive the combined attack by the state legislature and the Flexner report. In the following years many of the medical schools shut their doors. Gate City Medical College closed when it was caught selling diplomas. Bell Medical College could not get recognition by the State Board of Medical Examiners and closed in 1908. Southwestern University was absorbed by Southern Methodist University, but closed in 1915. During this same time the chiropractic profession was establishing its first school in Texas. The first graduate of the Chiropractic College of San Antonio's twelve–month curriculum was Dr. A.R. Littrell, who joined the Stone's in practice on the third floor of the Conroy Building in San Antonio. In 1911 it was reported by the San Antonio Light that the first chiropractic college in Texas was chartered by the state in April 1910. The 1911 Texas State Journal of Medicine reports that the Texas College was opened with about forty enrolling. "Dr. J. N. Stone, a San Antonio chiropractor and one of the oldest workers in this field, is president of the new institution." The Medical Journal continues "The course of study embraces 36 subjects and two and one half years of study without a vacation period will be required of the students before the degree of doctor of chiropractic will be conferred. This is equivalent to four years with the usual vacation. By the early 1920s the number of chiropractic colleges nationwide exceeded eighty, including at least three located in Texas. No new medical schools appeared until near midcentury. The Dallas doctors of chiropractic met together frequently and during one of their meetings held in Dr. McMurrain’s office in 1920 the Dallas County Chiropractic Society, which still meets regularly, was organized. In 1920-21, the home on the corner of Dwyer and Nueva Streets was purchased as the site for Texas’ chiropractic college and the school’s charter was purchased by Dr. B. F. Gurden, his wife, Dr. Flora Gurden and Dr. James R. Drain" on March 13, 1921.